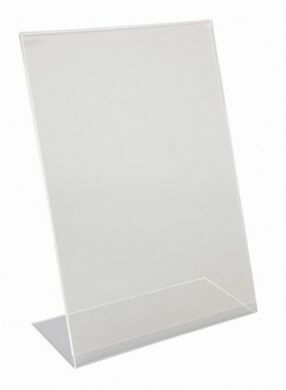 This perspex A4 angled menu holder provides an effective way to display your menu, price list or notice. Suitable for table tops, bars tops and counters, this A4 lean-back holder is an essential for bars, restaurants and cafes. Great for table top or bar top display. Ideal for bars, restaurants, cafes and canteens.